Mistake #1: Assume That Your Electronic Contract Manufacturer (ECM) Can Read Your Mind! Your ECM partner works with many customers, each of whom has their own technical standards and style of working. Don’t allow yourself to think that your electronics manufacturer's abundant technical expertise somehow includes clairvoyance! It’s unwise to expect them to “figure out” your unique requirements. 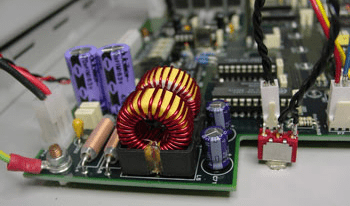 For example, one customer may request the electronic contract manufacturer to freely substitute passive components at their discretion to ensure the uninterrupted flow of product. This is reasonable but it could cause serious problems with medical devices or other highly regulated industries. Instead, treat your electronics manufacturer as you would an employee. Give them as much information as possible up-front. Set your expectations explicitly. Gain commitment and measure performance. Celebrate or take corrective action as needed. For common industry components, go ahead and rely on your supplier to manage through the supply chain issues – that’s part of the value for which you are paying. But when your device includes highly customized parts, problems almost always arise. Single sources, high minimum order sizes, and surprise obsolescence are par for this course. 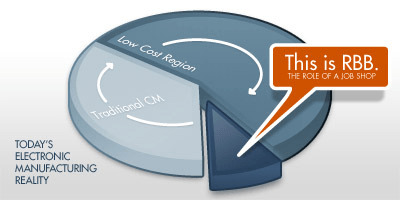 Most good ECM providers navigate these waters reasonably well – but costs of custom components can be significant. Delays, disruptions, high inventory carrying costs, the need for better sales forecasts, inflexibility with changes, and unexpected price increases … all of these raise the ongoing costs of doing business. I strongly recommend conducting regular joint reviews of your custom material situation, perhaps quarterly. Ask your electronics manufacturer to identify the most troublesome components. Maybe you can approve a substitute? Or sign a purchasing letter of intent? Or even start a redesign effort. Don't let it grow into a big problem over time. Your electronic contract manufacturer’s operation is optimized for a specific range of batch sizes. When your products run within that range, your partner is fast, flexible, efficient, competitive, and profitable. When your batch sizes run either much smaller or larger than their “sweet spot”, costs go up and things suffer – either for you, for them, or for their other customers. Yet it is very common for both sides of the partnership to keep all their eggs in one basket. A more rational approach is to place your small batch work with a small batch specialist and your large batches with a large batch expert. Because you are hitting their operational sweet spots, you can often get better pricing and service, plus you reduce your risk by having two qualified partners instead of just one. The relationship between a customer and their contract manufacturer is complex and many-faceted. Much like an A-frame house, each party depends on the strength and reliability of the other to remain upright and healthy. These bonds become very strong over the years and often grow quite personal to folks at both organizations. Unfortunately, like any important human association, the bad habit of conflict avoidance can creep in. Performance slippages might get overlooked or forgiven too readily. Expectations can wither. Left unaddressed, eventually these problems end up defining and souring the relationship. When the issues are finally addressed, even if they get resolved, permanent damage is often already done. On behalf of your electronics manufacturer, I urge you – don’t let this happen! If you see a small pile of issues (or circuit boards that don’t work), stop and deal with it. A good rule of thumb is to always treat your ECM like you are still dating, and not married, even after 20 years. Be nice, be helpful, and make sure they know that they need to re-earn your business every day. Then celebrate their performance when they do! Many other mistakes can be made that can derail this critical relationship; we've seen most of them since our founding in 1973. If you'd like to work with an ECM partner who can help you steer clear of them, contact RBB and let's get started.